This is as saddening to me as Ali’s passing…. Each in his own way was as unique an individual who did so much to change the world view. With both of their passings I feel a huge part of my youth & life has come to a point that makes me realize how much I was influenced by both & how much lesser my life will be w them gone. 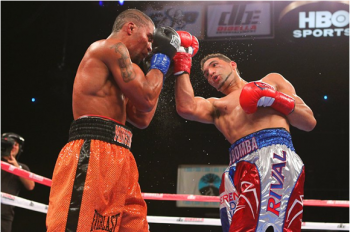 MASHANTUCKET, Conn. – Undefeated Edwin “La Bomba” Rodriguez (22-0, 15 KOs) made a major statement tonight in the main event, punishing a tough, previously unbeaten Jason “Monstruo” Escalera (13-1-1, 12 KOs) until referee Steve Smoger called off the fight at the start of the eighth round, on tonight’s special HBO Boxing After Dark tripleheader in MGM Grand Theater at Foxwoods Resort Casino in Mashantucket, Connecticut. "After spending months researching Cocoa Kid and writing The Sweet Science.com series "Just Watch Mah Smoke: The Secret Journeys of Cocoa Kid" this year, I have become absolutely convinced that he deserves a place in the International Boxing Hall of Fame. I am not one who makes a habit of trying to influence my peers, but this case is special. Cocoa Kid competed during all three decades of the heralded golden era (1920~1950) and faced fierce competition even after he was debilitated by dementia pugilistica. His condition, which appeared later in his career, has only recently come to light; it is sobering. He was a great fighter and a deserving contender who sacrificed more in the ring than anyone knew and yet never received a world title shot. 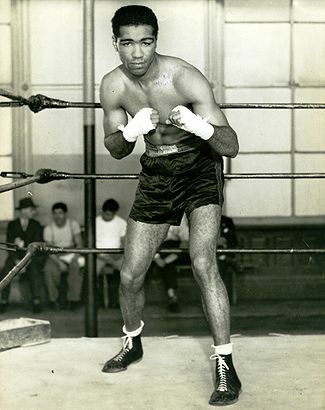 After retiring from the ring (with eight times as many bouts as some of his fellow IBHOF nominees) Cocoa Kid spent the last decade of his life unsure of who he was. He was destitute on the streets of New York City in the 50s and in the early 60s was in a mental institution in Chicago. He died in 1966. The grave of Herbert Lewis Hardwick was never identified as Cocoa Kid's until this year. Let's lay a wreath on it -let's show that we the scribes know who he was. It would be fitting to enshrine him in the IBHOF and see his memory receive a little of that glory that unjustly eluded him over a twenty year career." they said, had “too many guns” for this gangly newcomer with premature aspirations. 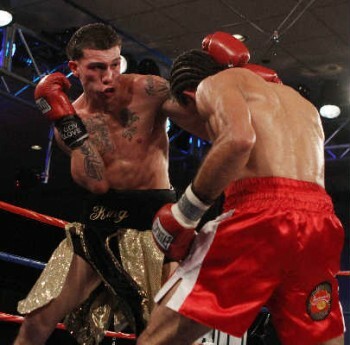 Photo of the Day: Cotto and Margarito in L.A.